I have been itching to buy me-self some much needed sneakers. My running shoes are not that very comfortable and not that very chic to wear to the university on a daily basis. As a rule, sneakers are for daily wear and running shoes are well, for running or any other sports activities. I would always get some "look" each time I am seen wearing one. There is nothing wrong really with a pair of running shoes but sneakers go better with those good old jeans, even skirts of shirt dresses. So I decided to buy myself a new pair of sneakers. 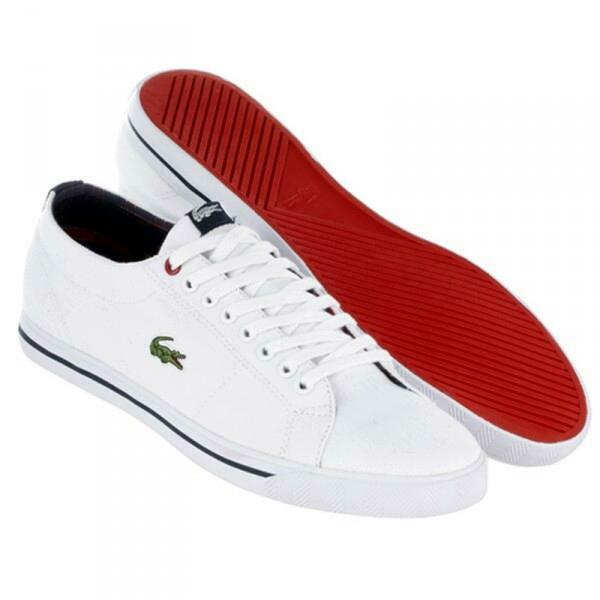 I initially wanted this white Lacoste Marcel low sneaker online but I just find it very pricey. A pair costs €79,99 at Zalando.de, with free shipping. So I searched some more and finally decided on this PF Flyers Center Low retro shoes which I found at Sneakerhead.com which costs €56,77 inclusive of international shipping. I am excited to receive it. I already received an confirmation email saying that I will receive it at the end of the day of May 30. I am uber excited! I just hope it fits perfectly. Mal sehen. wow! that is so nice, i envy you, hehehe i wanted to buy sneakers a good one since but their very expensive.. visiting, but i like your new shoes.